Don’t find yourself or one of your friends stuck in the mud without any way to get out. 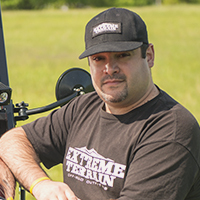 ExtremeTerrain carries a large selection of tow hooks and D-rings that will provide you with the help you need when you need to recover your truck or someone else’s from the mud. When it comes time to choose a tow hook for your needs, you want to make sure that it will provide you with the strength and performance you need. At ExtremeTerrain, we carry a full lineup of 2005-2015 Tacoma tow hooks that are made to hold up under the pressure you place it under. These hooks are made from aircraft-grade aluminum and they are designed for some of the heaviest towing power available. They are easy to install and meant to replace the standard shackles that come on the Tacoma. In addition to tow hooks, we do carry a large selection of D-rings should you prefer that style of recovery. The D-rings come in a standard size of 3/4-inch and they are often powder coated for supreme corrosion resistance or they may come in their standard chrome option. Most of the D-rings are designed with a 9,500-pound load rating, however, you do have options and can choose the best one to meet your needs. With the D-ring, you do not have to worry about an intense installation process either as they install in just seconds. Whether you choose tow hooks, or you prefer D-rings, you will find that most of them come with a warranty and ExtremeTerrain carries both options online at an affordable price. Come shop our selection online today and we will ship your products directly to your door for your convenience.